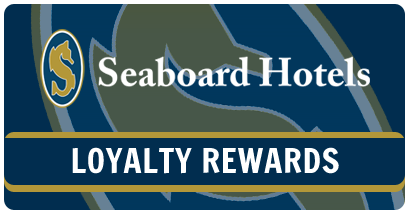 Posted December 9, 2015 & filed under Things to do in Dewey Beach DE. One of the most enjoyable things to do during a spring vacation to Dewey Beach is to take your family fishing. There are so many lessons that fishing can teach your kids and it provides you a great opportunity to relax and share in each other’s company. What more could you want from a family vacation? Here at Atlantic View Hotel, our favorite places to fish are Cape Henlopen State Park and Indian River Inlet. Just remember to purchase your fishing license before heading out to the ocean! Whether you are interested in fishing from a pier or right in the surf, Cape Henlopen State Park offers a couple of good locations for your family to cast their reels at. You can even stop by the bait and tackle stand at the pier for any last minute fishing supplies you may have forgotten. The park always has plenty of family-friendly events going on, and we recommend sticking around throughout the afternoon to participate in some of their reoccurring outdoor programs. Another great fishing spot to visit is Indian River Inlet. Whether you go out on a jetty or choose to fish from the marina, there are plenty of opportunities to catch striped bass, sea trout, flounder and more. 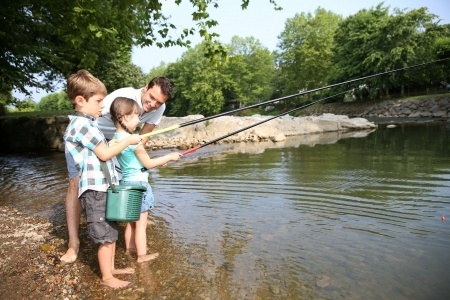 The best spot for families with young children to fish is along the railings on the north and south sides of the inlet. Pick up your license and supplies at Old Inlet Bait & Tackle, before spending the day on the water. Now that you know where to visit for the best fishing in the Dewey Beach area, pack your rods and reels and book your stay at Atlantic View Hotel. We look forward to seeing your catch!